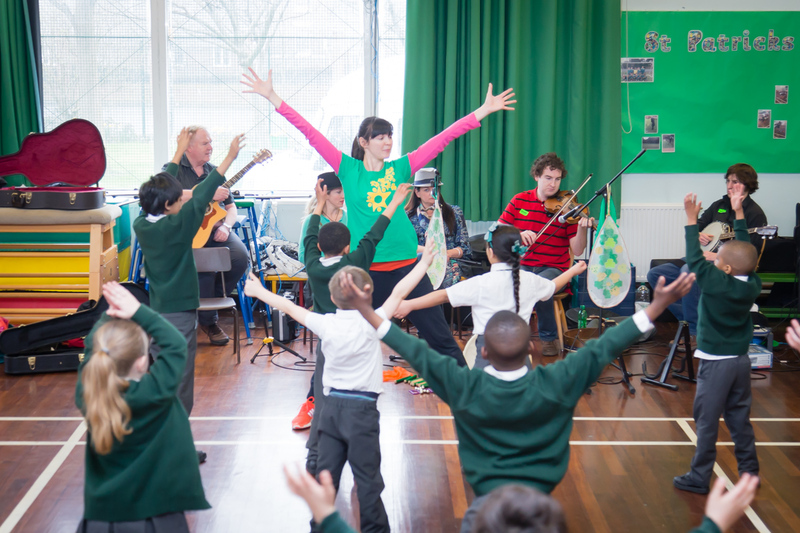 The aim of this project is to provide opportunities for children to experience Celticness through Celtic Music, Dance, Art, and Drama. 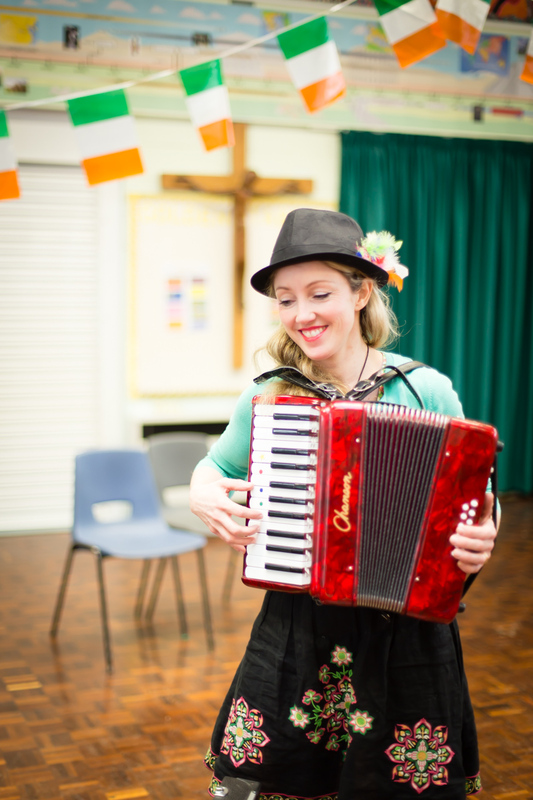 One of our Celtic workshops will enhance the delivery of Music, Geography, History, Language, Art and Dance, as well as providing opportunities to explore and develop children’s personal and social educational skills. 1. "Wow" experiences in Celtic Music, Dance, Drama and Art with a full team of professional Musicians, Dancers, Artists and Actors. 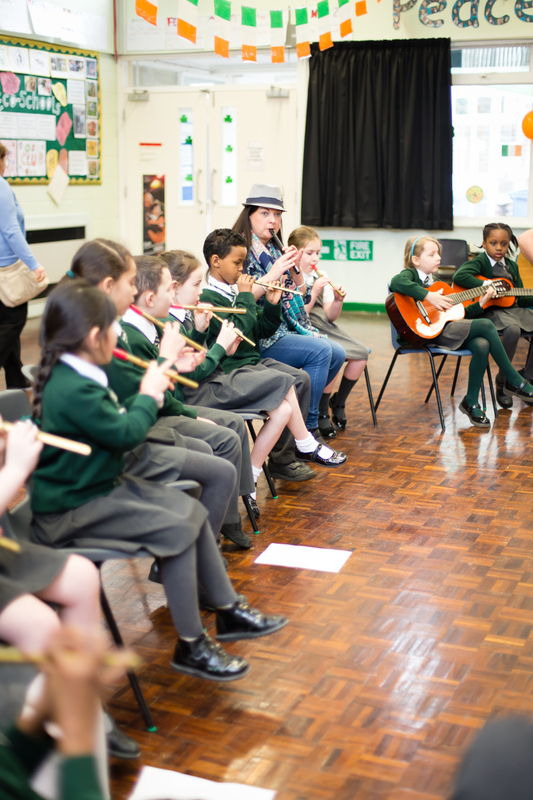 Schools can choose all four of the Arts eg: Art, Music, Dance and Drama or just select one or two of the Arts to fit in with the school curriculum and topics. We use only highly professional musicians, actors, artists and dancers from the local area. 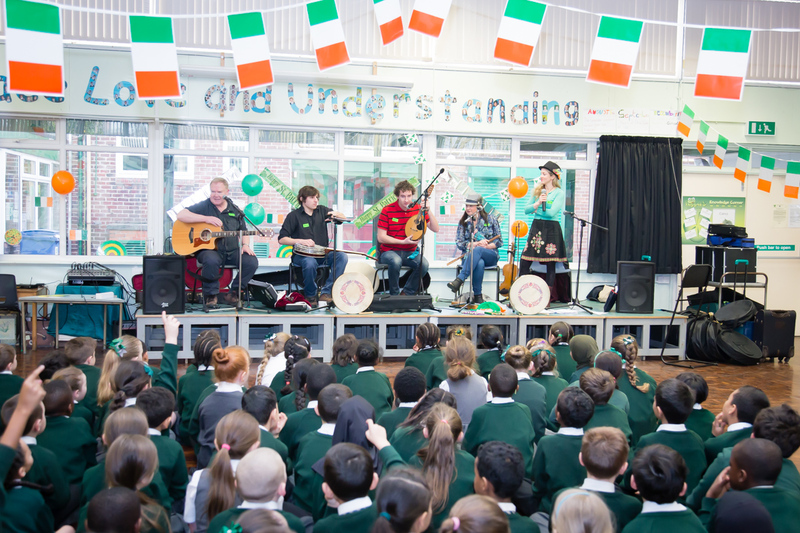 We provide exciting assemblies for schools to introduce all of the instruments associated with Celtic Music such as the Fiddle, Whistle, Flute, Bodhran, Banjo, Mandolin, accordion, guitar. 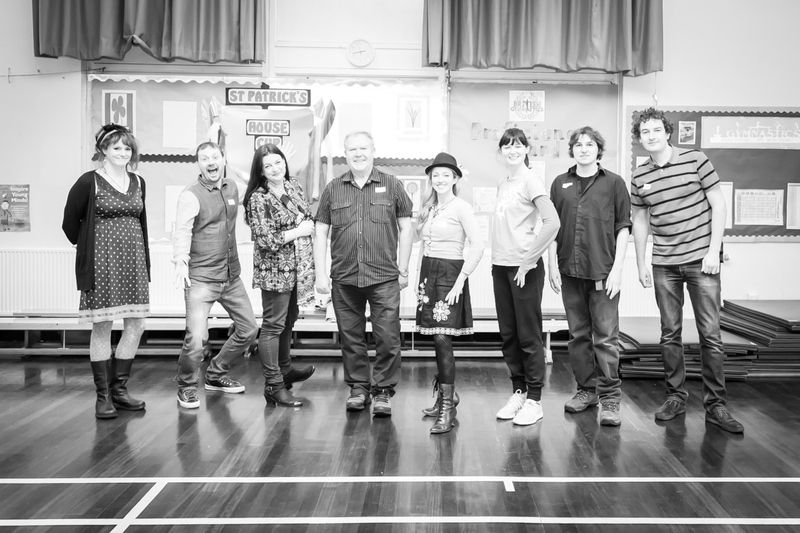 A full live band of professional musicians that specialise in Celtic folk music perform and enage the audience, teaching them about the different instruments, where they originated, what they are made of and how they sound. They also teach about the style of music and the difference in rhythms between Polkas, Jigs, Reels, hornpipes, slides and how they are used to accompany set dancing. 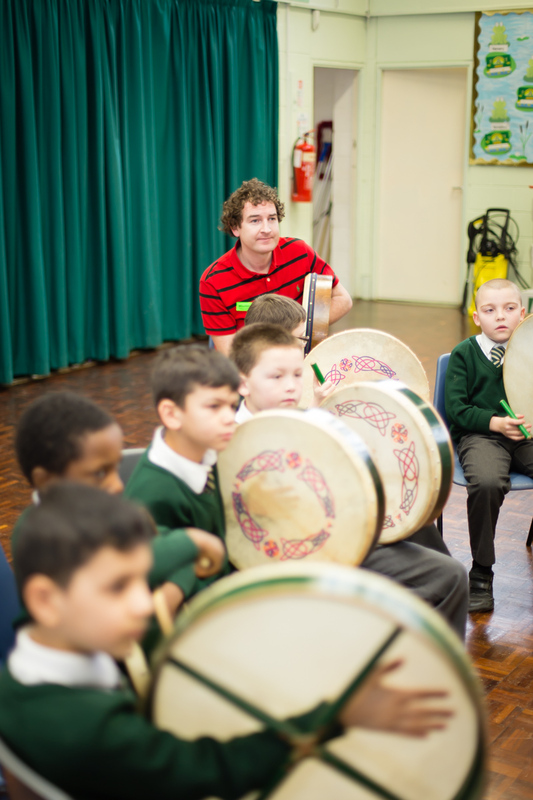 We provide music workshops across each year group within a school. 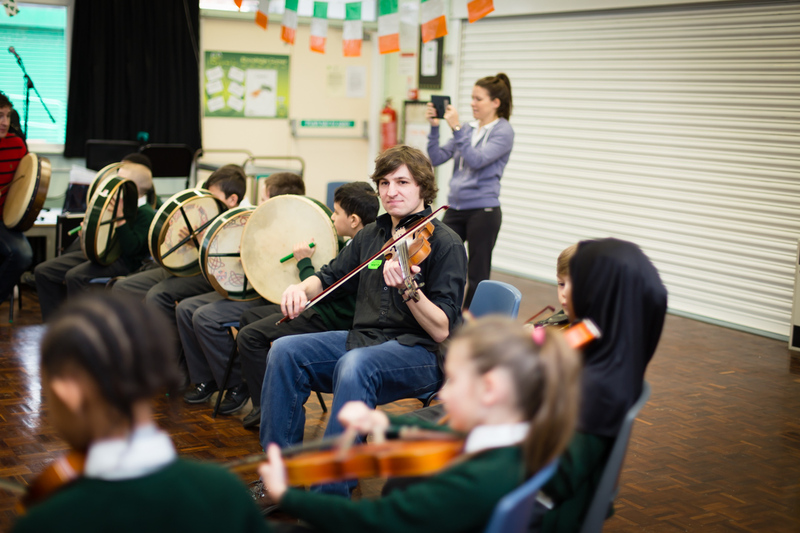 Children will Listen and play the different instruments associated with Celtic Music such as the Fiddle, Whistle, Flute, Bodhran, Banjo, Mandolin and guitar. 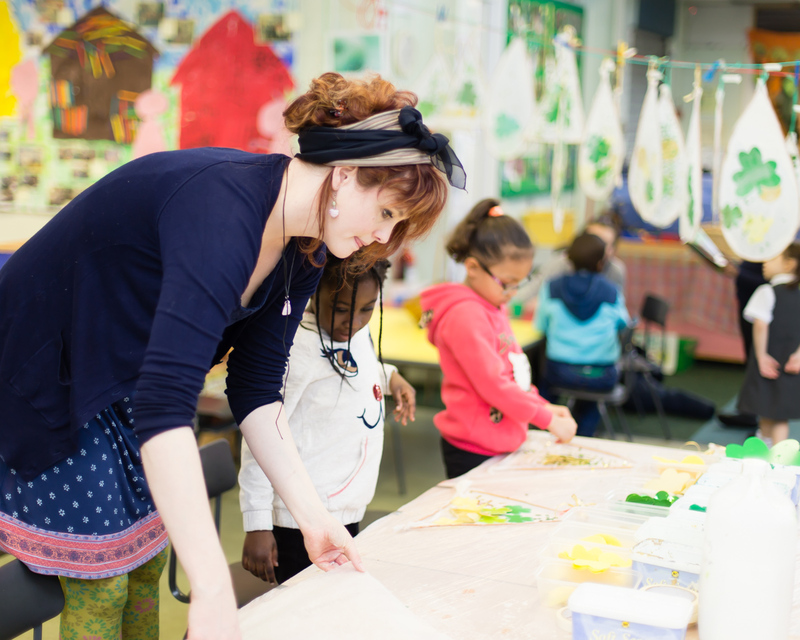 At a time when the creative curriculum is at the forefront of education, we can provide an ideal starting point for a thematic approach to teaching. Our workshop fits in with the current National Curriculum for the Celts. Please visit our gallery to see past projects in schools. With a professional Actor we can enhance the children's experience. For example - Learn about the story of St Patrick and become the characters of the story OR Learn about the lives and occupations of the Celts and act out scenes from Celtic times. Learn traditional set dancing with a professional dance caller. Discover how the music accompanies the set dancing and understand the rhythms of the music through experiencing the movement. With a professional Community Artist learn about Celtic Art and create fantastic pieces of work to display in your school. Thanks for visiting our website, at present we are able to offer services in Cheshire, Wirral and Liverpool. If you are interested in finding out more please contact us on any of the details below.